Full scale clinical LIMS for local and regional laboratories. eL@b (eLab) is an up-to-date, full-scale clinical and veterinary Laboratory Information Management System (LIMS). Using the latest technology in the market today, eL@b (eLab) is capable of managing a wide range of laboratory needs, starting from a single lab deployment and expanding to a local or regional chain of labs connected together. eL@b (eLab) interfaces with all clinical analyzers, host machines and ERP systems available today. Intuitive user interfaces and powerful analytical features assist the lab technician and clinical expert in making the right decisions. Access control and audit trails keep your data secure and help you conform to recent legislative guidelines concerning data integrity and patient security, such as HIPAA. 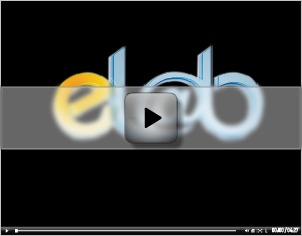 eL@b (eLab) includes all the features you expect from a clinical LIMS and more. Thorough understanding of the lab's business logic, unsurpassed practical experience and the use of state-of-the-art technology make eL@b (eLab) one of the most advanced clinical LIMS available.